Oprah won't get Seal's vote. 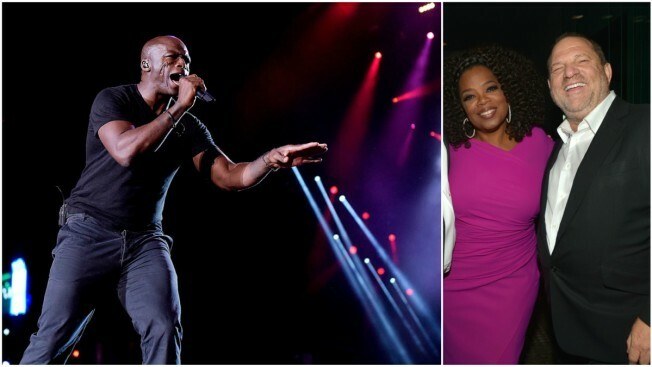 Well, if Oprah Winfrey does ultimately decide to throw her hat into the political ring for 2020, we now know there's at least one vote she won't be receiving... that of the singer Seal. The singer recently shared a post on social media with Winfrey alongside disgraced movie mogul Harvey Weinstein with the caption "When you have been part of the problem for decades, but suddenly they all think you are the solution #SanctimoniousHollywood." Seal added a personal caption to the photo throwing additional shade in Winfrey's direction. "Oh I forgot, that's right.....you'd heard the rumors but you had no idea he was actually serially assaulting young starry-eyed actresses who in turn had no idea what they were getting into. My bad." Seal was both commended and condemned in the comments section of his post, but one celebrity coming to Oprah's defense was supermodel Chrissy Teigen. “Hmm. Let’s just say we’ve all heard things about each other, haven’t we?” wrote Teigen.